Showing its commitment to both women’s watches and the women’s sporting arena, Omega has just announced a new 10-year partnership with the Ladies European Tour (LET) – a truly international organisation with 23 golf tournaments played in 18 different countries in 2014. Of particular relevance to the UK is Omega’s decision to enlist 18-year-old Brit Charley Hull as its latest ambassador. A golfer from the age of two, Hull came to public attention when she won the UK National Ladies Championship at the age of nine, ranking in the world’s top-10 of amateur golfers. Playing professionally for just a year, she made her pro debut in March 2013 – the year she was also voted the LET Rookie of the Year, was selected as the Best International Newcomer by the Sports Journalists’ Association and shortlisted for the BBC’s Young Sports Personality of the Year. In August 2013, Hull was selected by European captain Liselotte Neumann to compete in the 2013 Solheim Cup, making her the youngest person ever to play in the tournament. The team was the first European Solehim squad to win on US soil with a final score of 18-10 and with Hull contributing two of those points. On 16 March 2014, four days shy of her 18th birthday, Hull won her first professional title at the Lalla Meryem Cup in Morocco. 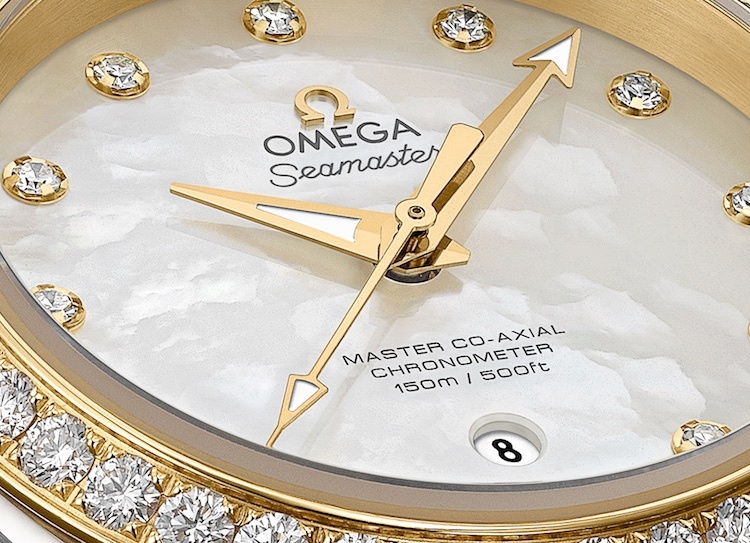 And, as is par for the course with brand ambassadors, Hull is naturally sporting an appropriate Omega model in the form of the Seamaster Aqua Terra Master 150m Co-axial that was unveiled at Baselworld 2014. 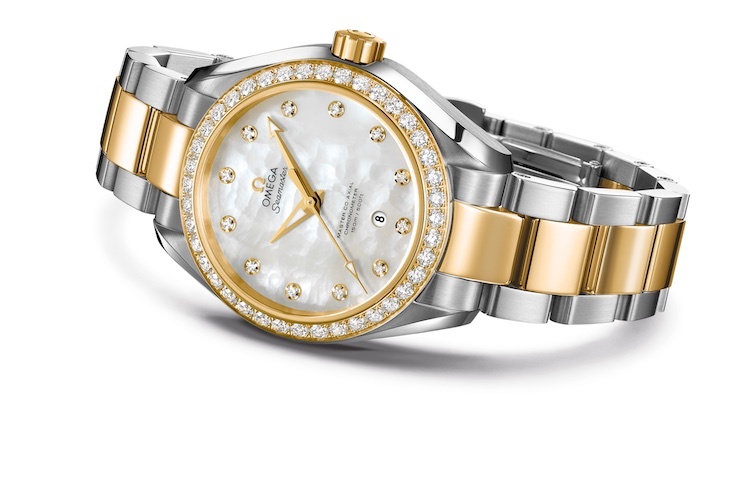 Combining beauty with power and technical mastery, the 38.5mm, bi-colour model features a mother-of-pearl dial and diamond-set bezel. But beneath the beautiful exterior lies an anti-magnetic Master Co-axial calibre designed to resist magnetic fields greater than 15,000 gauss – equivalent to that emitted by an MRI machine and more than strong enough to resist the fields created by usual household machinery.